Oh, marvelous! Those are very original. Made popers before but never shrimp!! These sound delicious!!! what a great course! I never made popovers...just had them in restaurants..yours with shrimp sounds and looks delicious Lisa. 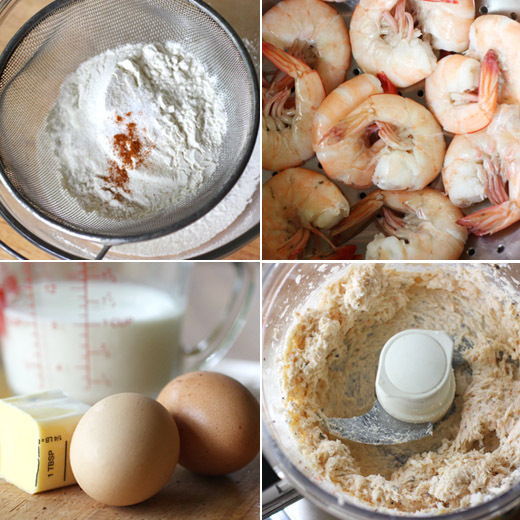 I love popovers and never thought of adding shrimp to mine - what a fantastic twist on a great recipe! I made popovers with a mushroom paste lately, so delicious, I can imagine that a shrimp ones will taste amazing as well. The Lee brothers are great. 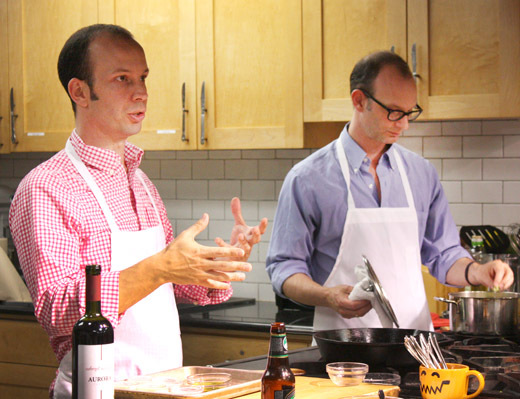 I've never made popovers with shrimp - brilliant idea! Good stuff - thanks. Lisa this looks soo yummy. The addition of shrimps is a wonderful idea. Would have loved to attend this class. I've never had a popover before...can you believe that?! I love this idea! They really POPPED and so delicious! My new popover pan was delivered today! I'm in heaven. Oh! Have never heard of these before but they look and sound delicious! charleston is worth a visit, lisa--i hope you find your way there one day! Wow, is right! 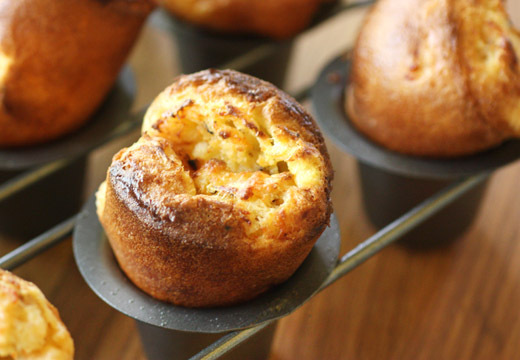 Stunning popovers and anything with shrimp is even better! These look and sound so fabulous, Lisa! Lucky to have gone to this class! You have made me want to invest in this cookbook. I hear so much about the food of Charleston, but have never been lucky enough to travel - or eat - there. This book may just be a first step. These sound incredible, Lisa! I will definitely bookmark this! What a fun class. I love how these pop up so much out of the tins. I've been to Charleston many times and yes, the food there is terrific! We go frequently to their home tours. The class sounds a delight...how lucky you are to have taken it. Definitely going to try the shrimp popovers. 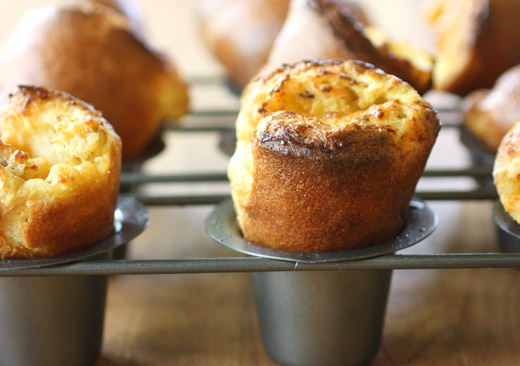 Love a great popover and the twist you put on these is amazing! What a great class to attend!! These are true winners! Charleston is a really lovely and charming town. Hope you get to make the trip some day! I love popovers to begin with. But with shrimp, too? Holy moly goodness! May I have the recipe? Would you have it? These look amazing!!!! Eva: The recipe with the all the quantities is in the second paragraph. Hope you enjoy!